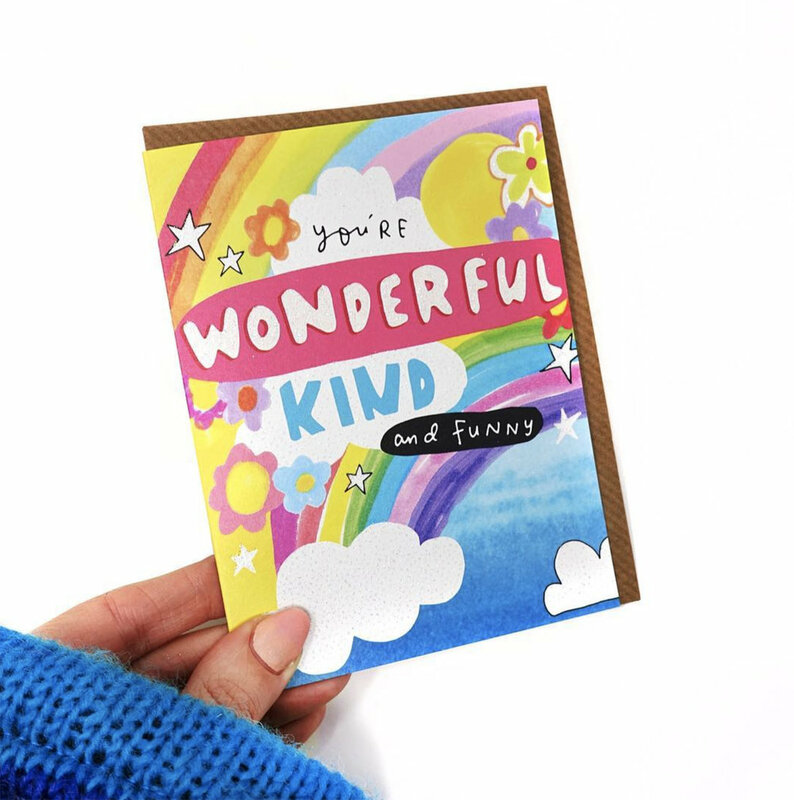 Based in Los Angeles, California, Bassen is an illustrator turned designer who creates fun, quirky designs that's sure to make you say "OMG that's so cute!". 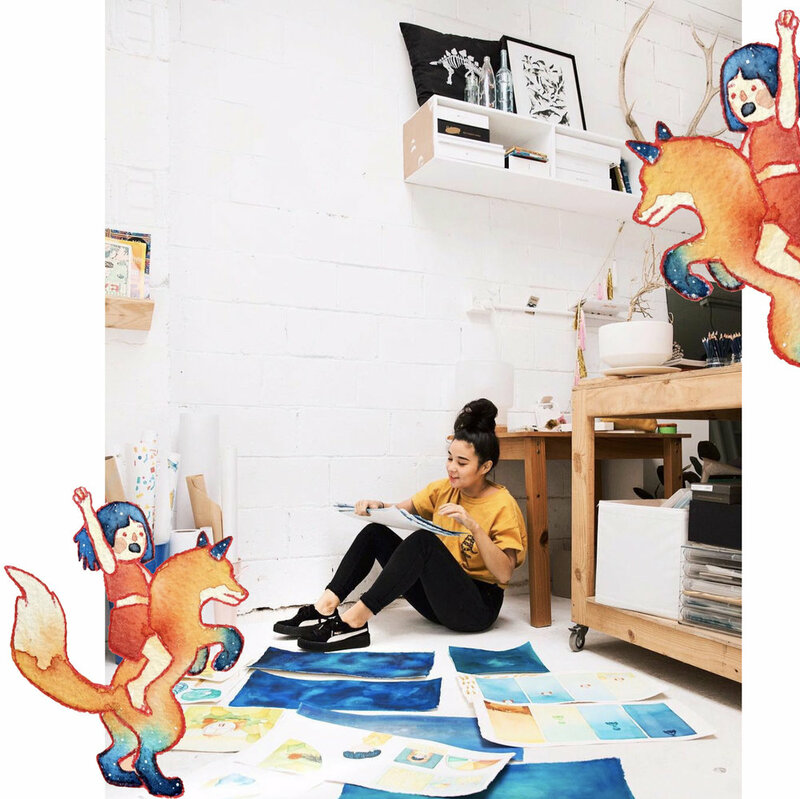 From making prints, stickers and accessories to designing apparel, the Bassen brand has gained quite a few loyal following (including myself ) throughout the years whilst staying true to her distinctive sense of style. Did you know: Bassen's signature 'Mixed Emotions Clubs' pin along with several other designs were copied and sold by fast-fashion retailer Zara in 2016. Whilst Bassen got her lawyer to contact Zara about the copies, the fast-fashion retailer has not been held accountable for their actions and damages made to an independent artist's living. ❤️: Her strong, badass designs! You can shop Bassen's store here. Coxhead's wonderfully happy illustrations never fails to perk me up whenever I'm in need of a dose of positivity or daily goodness. Vibrant and delightfully joyful, Coxhead's illustrations gets you feeling good all day long. Her latest feat, a feel-good creative journal titled 'Make Someone Happy' is a reminder to anyone and everyone that happiness can be found in small, wonderful details of life. 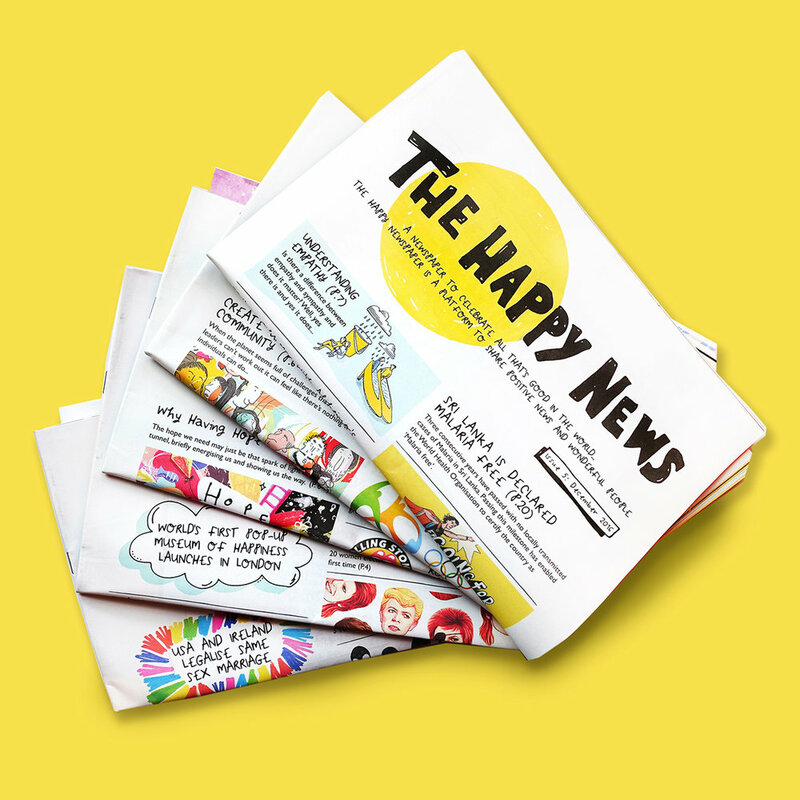 Did you know: Coxhead created a quarterly newspaper known as 'The Happy Newspaper' in December 2015 to help "celebrate all that's good in life". Funded through kickstarter, the newspaper is packed with - you guessed it - happy and positives news from all across the globe! ❤️: Her positivity and vibrant use of colours! You can shop Coxhead's store here. One of my absolute favourite creatives of all time, d'Anthes' work is as whimsical as it is beautiful. Her adorably charming illustrations perfectly captures that sense of childhood curiosity and innocence in a way that's nostalgic yet contemporary. D'Anthes masterfully uses watercolours and meticulously layers each drawing to bring them to life. Her passion for arts along with her delightful personality is particularly captivating to watch - whether its through her artwork or vlogs. Did you know: D'Anthes' illustrations are so loved by fans around the world that her most recent children's book has sold out nearly everywhere (I couldn't get my hands on a hardcover in time for my twin cousins' birthday 😫). ❤️: Her whimsical take on animals and her painstaking layering process! You can shop d'Anthes' store here. Schwenn aka 'The Blushing Script' on Instagram is a a civil servant turned maker who's based in Waukesha, Wisconsin. Posting daily letterings and dreamy macramé wall hangings, Schwenn's Instagram is peak girly perfection! It's filled with lush yarn, blush hues, badass quotes and more blush hues... what's not to like? My favourite work of hers however is her modern take on weaving and knitting, creating contemporary macramé hangings that are absolutely gorgeous - perfect for that #goals home. 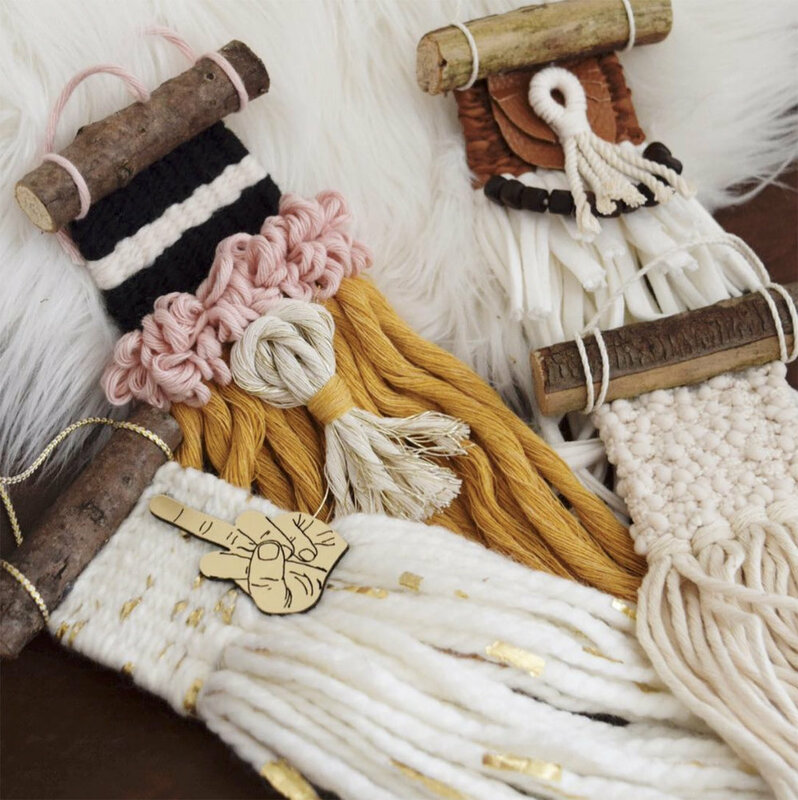 ❤️: Her macramé hangings of course but her Instagram stories are also a gold mine! You can shop Schwenn's store here.